Vacuum hose, parts and accessories for all types of industrial vacuums and dust collectors. Order online or call our parts professionals! OSHA is updating its silica dust exposure regulations. Our resource will help you understand everything you need to do to be compliant. Vacuum and dust collector rentals from coast to coast and from North to South. Locations with diesel and electric options to meet your short term or long term rental needs. Hurricane high powered portable vacuums available in electric or diesel powered, from 30 hp to 500 hp with customized options to best suit your application. Built in the Heartland of the USA! 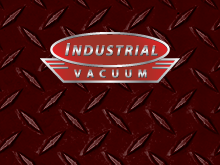 Setting the quality standard for industrial vacuum systems since 1992. We manufacture rugged, industry-leading industrial vacuums, dust collection systems, and positive displacement blowers, all used on demanding projects worldwide where performance and reliability are crucial. How does the Hurricane Vacuum Work? Commonly described as a heavy duty shop vacuum. Discover the birth of the Hurricane "Quiet Cube" industrial vacuum. Introducing the new FiltAire series of dust collectors, now from Industrial Vacuum. We stock only the finest replacement parts to meet your needs! Download our parts catalog.